Welcome to this waterfront showpiece home in Masonborough of Park West complete with a dock. This spectacular property is the builder's personal home and was constructed with superior craftsmanship and utmost attention to every detail. On the mouth of Darrell Creek and the Wando River with fabulous views of the river and marsh. This waterfront home has an elevator, surround sound, intercom, central vac, custom cabinets made by The Amish, extensive trim package, and structured wiring. Enter the foyer and notice the beautiful cast iron staircase and brick floors. On each side of the foyer is the beautifully decorated study, sitting area and dining room. 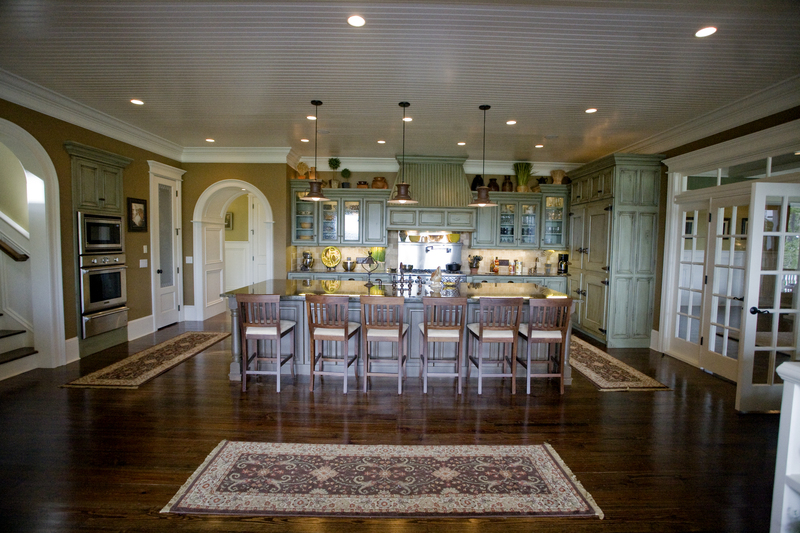 There is a wide hall to the family/kitchen area with breath taking views of the Wando River. The gourmet kitchen features a Thermador gas 6-burner cooktop w/griddle & 2 gas ovens and warming drawer. Extra electric wall oven, 2 dishwashers, and a farm sink. 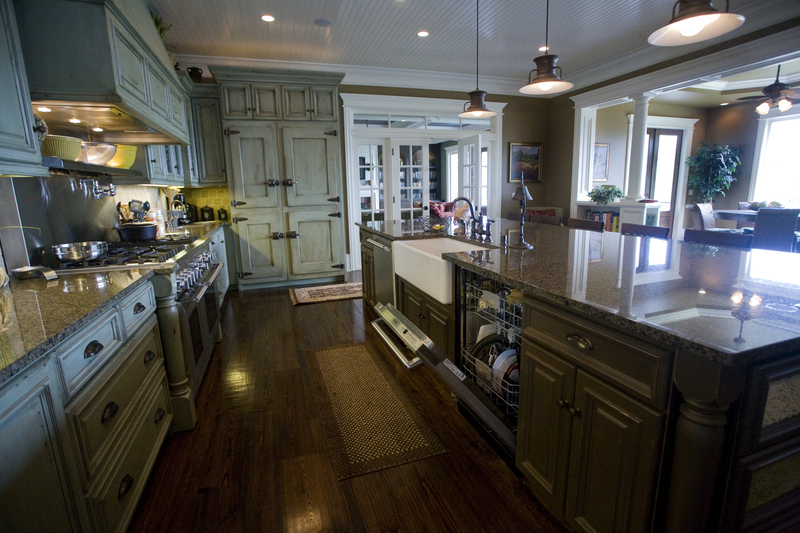 There is a huge 5 x 12 island and breakfast bar, and a butler's pantry w/ice machine. Great for entertaining! The master bedroom suite has a fireplace and a beautifully appointed sitting area, a welcoming and relaxing retreat any time. The master bath is elegantly appointed with a spa tub, and 6 x 6 custom tile shower, w/3 shower heads and steam, and marble floors. Each of three spacious bedrooms upstairs have their own bathroom. The large laundry w/2 hookups has lots of cabinets and an island. This home has 2 tankless hot water heaters. Home has a total of 5 fireplaces (Living Room,Family Room,Master Bedroom, Kitchen, and Study) An almost completed mother-in-law suite, which is on the ground floor, has 2 bedrooms, a kitchen & family room w/elevator to the other floors and adds approximately 2274 sq. ft. bringing this home over 10,000 sq. ft.